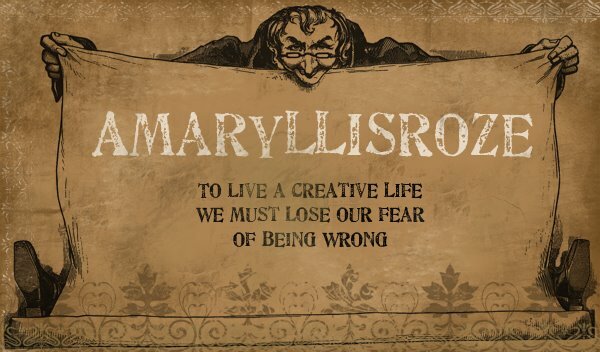 All images and text on this blog are copyrighted by Amy Rozeboom. Please contact me for permission before using any images or text from this site. Thank you! 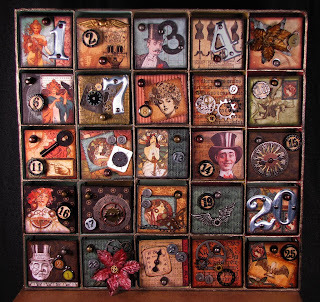 This is the steampunk advent calendar I came up with for the AlphaStamps Design Team, using Graphic45 "Steampunk Debutante" paper and a billion bits and pieces from Alpha (including a bunch of Tim Holtz products). I have to say this was the most labor intensive thing I've done to day and I think its my favorite as well. In the second picture you can see the side of the box. 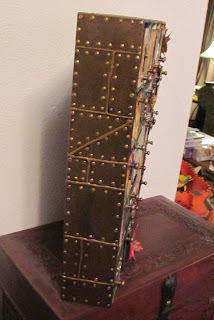 I used a dimensional paint to create the soldered seams and rivets to beef up the steampunkiness of it. The overall size is about 12 inches by 12 inches and each little drawer is right around 2x2. Such a wonderful calendar with so many intricate little elements in each box. I can imagine the work involved in making this masterpiece. Wow this is just devine! Love the detail on the sides. WOW! This is one of the most wonderful projects I have seen created with the Steampunk Debutante collection. Thank you for sharing your glorious talent. Wow this is a work of art, I want to visit each little box like a fun new room!! 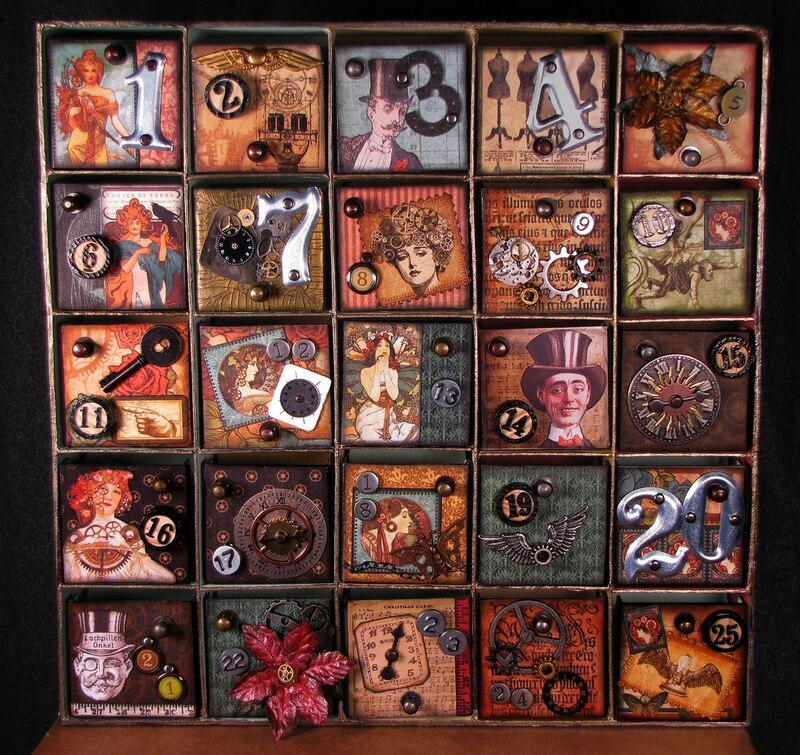 Love your Steampunk Advent Calendar and other Steampunk stuff. I should have checked this out sooner.